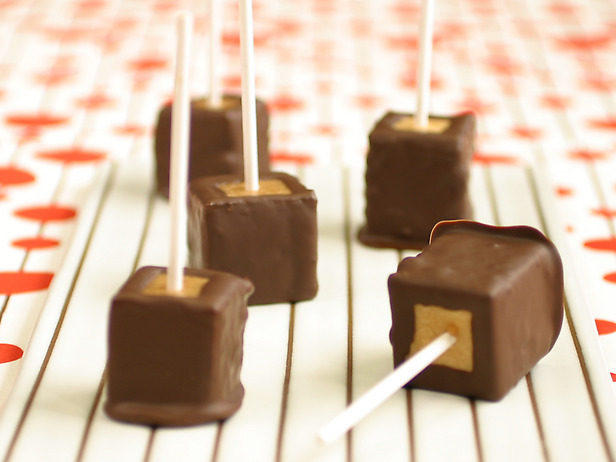 In honor of National Peanut Butter Lovers Day, I had to share these insanely delicious pops that I found over on the Food Network. Chocolate, peanut butter and cheesecake, all three major food groups, in one bite! Happy PB-day! Don't you love when you have a happy accident? I sure do, especially when baking! My original intention when I started baking these little beauties was to just make brownie bites. 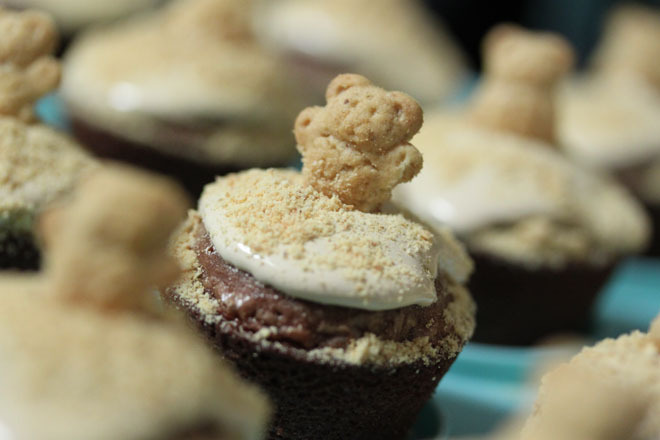 Quick and easy, follow the directions on the back of the box, bake half the time in a mini cupcake pan, and you're done. Except when they were done baking, I felt like decorating. So I got creative. I had graham crackers, so I crunched them up to sprinkle on top. A taste test told me I needed more graham. Luckily I have a husband who humors me when I get in my creative groove, and he agreed on a quick ride to the grocery store for the teddies. Perfection! Wouldn't these just be fabulous for a birthday sleepover? I happened to bring them to a house warming party. S'mores are fun for all ages!